Windoors India UPVC casement windows design ensures easy opening and smooth operation over the life of your casement windows. 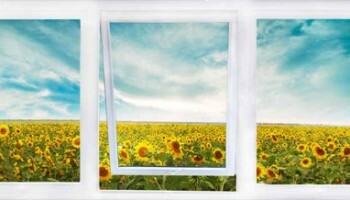 Simply push out the upvc windows and enjoy the field of vision. 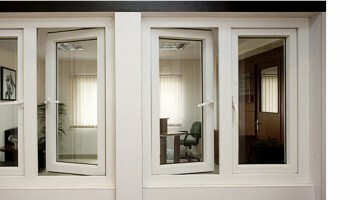 The UPVC window may be left-handed, right-handed, or double. We offer standard, and speciality glass options. Let the fresh breeze in while keeping the raindrops out. Innovative engineering allows the UPVC casement windows to be opened easily by turning the handle and pushing out the sash. The upvc windows can be used on its own or as a complement to another upvc windows in Bangalore. It is a combination of three or more UPVC casement windows which projects out from the main wall forming a bay in the room. 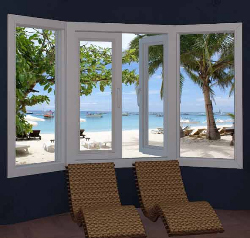 It improves the aesthetics of the room and UPVC casement windows design can be customized to your choice. In our endeavour of constant innovation and improvement we have set up a world class production facility to produce U-PVC window and door systems, delivering customised solutions of international standards.